View Deploying to a Service Mesh on Notist. A service mesh is a configurable infrastructure component that’s aware of the internal state of our cluster. It’s architecture provides us with very powerful abstractions which can then be built upon. One of the core features of a service mesh is to simplify traffic management, and this can be leveraged to simplify common deployment actions. 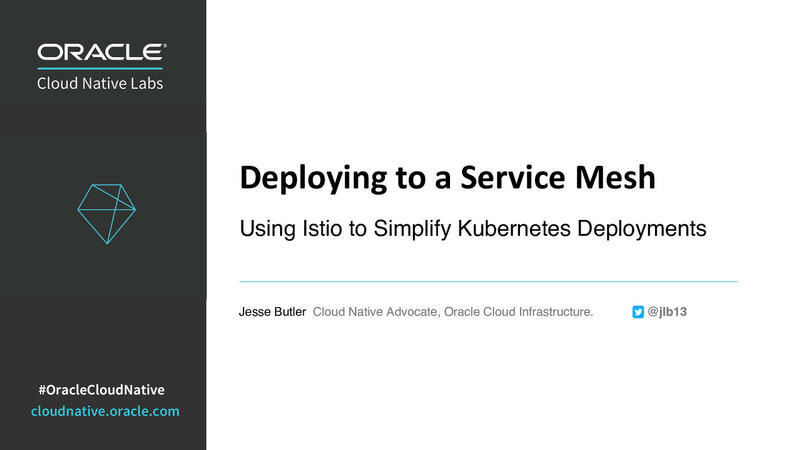 We’ll see how Istio and Linkerd can help simplify canary deployments, blue/green deployments and A/B testing. We’ll also touch on testing, tracing and dark launches. Jesse puts presentations on for free. You can too.